Funny how they have to use carcinogens to detect cancer, isn't it? Not so much funny haha but the other kind. What I've found is it's 6mCi of In-111, which is 222MBq (big M!). I had to look for guides for hospital personnel to find out what that equates to in real terms. Apparently it's 26mSV / 2.6Rem. While I'm not entirely sure what that means (still new to all this and having a really hard time keeping things straight! ), I _do_ know it means I'm going to need to seriously flush my system! The test goes on for 4 days at 1 hour per day, but the injection is once and happens several hours before the first test on the first day. I want as much of it out of my system as quickly as possible, and yet I don't want to mess up the test. Feels like a catch 22 of sorts, and I'm not sure how to approach it. Advice, suggestions, etcetera are appreciated! I'd rather not do it at all, but afaik it's the only way to find out. Ack! Hey girl. Give me a call or send me a text with the tests the docs want to run on you with what radioisotopes. I'll help you figure out exactly what those monkeys want you to do. Do not trust the medical industry to not shoot you up with more of what is harming you: radiation. Because radiation is the cause of whatever is ailing you certainly. 2.5 Rems or (Rad Equivalent Man) is a very large dose. Keep in mind that this could not possibly be the total dose delivered as it takes a while for all the IN-111 to actually biologically break down. I don't think they have a clue about the real dose involved if they are stating it is as high as 2.5 Rems you can probably expect that actual dose to be like 100 rems of an actual biological dose. You can expect blood changes, and diarrhea, n&v and some other unpleasant things to happen. As we discussed they need to do a test for a real diagnosis but why do they have to use that particular isotope and that particular dose. Nuclear Medicine scintillators are very sensitive. 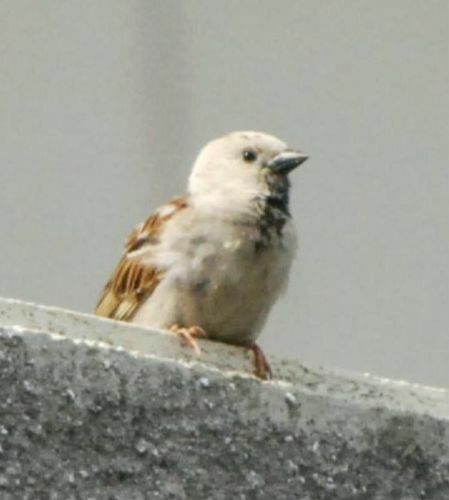 Hi whitesparrow. In case you are interested, I've seen this person who has often commented on ENEnews. He claims to have staved-off cancer (not cured), but, he has had cancer 3 times. Here is a link where you can find him in the comment section. Do a 'Control F' on your keyboard and type in Gasser and it will bring you right to where he talks of the baking soda maple syrup he has used to get rid of cancer. He also has a link there to how he makes it on the stove and puts it in gel capsules He is 75 years old now and still rides a motorcycle on top of lava formations for fun and to stay active. I'm drowning in that .pdf, I'm sorry! They're looking for a neuroendocrine tumor, because the blood test showed positive markers. My eye doc did another test -focal something- and it showed blindness in a pattern that may indicate a pituitary tumor (which tbh could explain a lot). I really had to dig to get the info on what they'll be injecting me with, exactly, because they were extremely vague -which, it seems, they're trained/taught to do, 'cause they all do it and seem annoyed when a person finds out the details). I _think_ it answers your questions! Thanks for the input! It sounds a little like something a dear friend of mine told me years ago that'd long since slipped my mind. It sure as heck couldn't hurt! Definitely going to give it a whirl. Also going to try to detox in any way I can figure! I love maple syrup, though I hadn't been able to bring myself to buy it in years. Great excuse! Ants: avoided me like the bloody plague. Nest of red ants in the back yard. Stuck a foot right by their hill and they'd walk toward my foot if they were already going that way and then do a complete 180 once they got within 2-3"
So, it's down quite a bit, but not yet enough not to set off the alarm on my Geiger counter. Half-Life is supposed to be somewhere between 3 and 4 days, and this is day 4, so I'll try to be sure to get new readings again today! Experiment ideas from anyone while I'm still putting off pretty tall rads? whitesparrow ~ What kind of geiger counter are you using that is set for the In-111? Let me just say, seems you are doing a thorough job at keeping track. I hope you get well soon. Prayers go out for you. It's a "cheapie" GMC-300E Plus. Doesn't pick up alpha, but it does do beta, gamma and x-ray. I'm sitting 2-3 feet from the Geiger counter right now and it's reading 69 CPM = 0.34uSv/h = 0.34mR/h. I took more readings day before yesterday, but not yesterday. Will have to post those numbers today, and take and post new ones, too. Hey girl I haven't spoken to you in a few days. Music has dominated my universe the past week. I finished writing a couple of songs and finished the arrangement of one that just needed my Mom's expert music creativity on it as well as her awesome piano skills. Call me if you can tomorrow( Monday) to chat if you can. Things have been a little crazy here the last few days. Nothing horrible, just a whirlwind! I'll give ya' a holler in the next day or two! Hugs!